Kate Middleton‘s fashion followers will be pleased to hear that there is an alternative to mimicking her style when that all-important dress sells out. 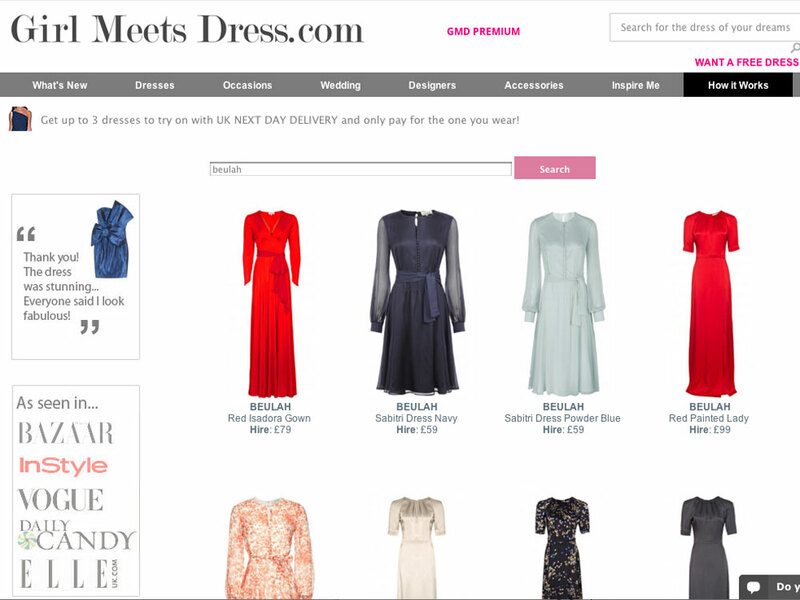 UK website Girl Meets Dress has now listed some of the Duchess of Cambridge‘s most iconic styles on its pages, meaning that you can rent one of the royal’s dresses for a snip of their original designer price. Girl Meets Dress, (hello, our favourite online find), has just launched 14 Beulah items, three of which the Duchess of Cambridge actually owns. They include the red gown she wore at a fundraising gala in 2011, which can be rented for just £79, as well as the stunning blue Beulah dress she wore to a mosque while on tour in Malaysia, which can be picked up for just £59. Fans of the Duchess of Cambridge‘s royal style statements will know only too well that her dresses and coats become a total sell-out within hours of her wearing them in public. So a high-five is in order for Girl Meets Dress for deciding to stock her favourite styles, so we can get in on the action, too. And if you haven’t rented a dress from the site before, it works a little something like this – just pick your dress, choosing either the two-day or seven-day rental service – you can order up to three different designs to try on, with insurance if you wish, then you’ll be refunded for any items you no longer want to wear. If none of the dresses fit, or you decided it looked far better on Kate Middleton, you simply send the style back and get a full refund. Amazing, right? And you don’t even have to dry clean it yourself. So it’s like being royalty, after all. Kate Middleton will be making fashion industry headlines again come April, when she tours New Zealand with Prince William and Prince George. More details have emerged about their trip, for which it’s said that the Duchess is already planning her wardrobe.